Jesus Aviles Killed in Houston Sports Bar Shooting; Justice Available to Family? Could this tragic Houston sports bar shooting have been prevented and are justice and compensation available to Mr. Aviles’ family? 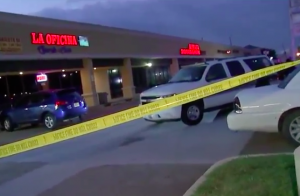 Gunfire erupted during a soccer match inside a sports bar Sunday morning, June 24, 2018, claiming the life of 45-year-old Jesus Aviles, according to KPRC 2 reports. Houston Police told KTRK News “about 30 people were inside [a] sports bar” watching the World Cup game when shots rang out. Tragically, Mr. Aviles succumbed to fatal injuries at the scene. Did negligent security contribute to this senseless loss of life? We represent individuals and families who have suffered a tragic loss or injury as a consequence of negligent property security. 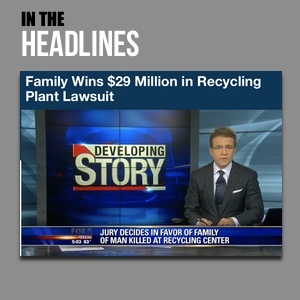 Read Our Legal Take below to find out if Mr. Aviles’ family may have a legal avenue for justice and claims for substantial compensation in Texas, or call now for a free consultation with our legal team: 888.842.1616. Bar patrons have a right to feel safe and secure while on the premises. The Murray Law Firm questions the level of security provided on the property and whether this tragedy may have been prevented. How did a gun gain entry to the property? Have there been prior incidents of violence on or near property? What security measures, such as weapons screenings, surveillance cameras and security personnel, were in place to deter crime and protect Mr. Aviles at the time of the shooting? Generally, property owners are required to protect all those legally on the premises from any foreseeable harm. Should the facts of this matter reveal that the sports bar owner failed to provide adequate security to protect those on its premises, the family of Jesus Aviles may seek justice and elect to pursue legal claims for his wrongful death. La Firma del Abogado Murray, extensiva y exitosamente ha representado familias que han perdido seres queridos como consecuencia de ataques violentos en apartamentos y propiedades negligentes, si lo desea, le ofrecemos nuestros servicios y experiencia. A quien busque ayuda o representación legal, le alentamos que se contacte con nosotros (haga clic aquí) al 888.842.1616. La consulta no cuesta nada y es confidencial.